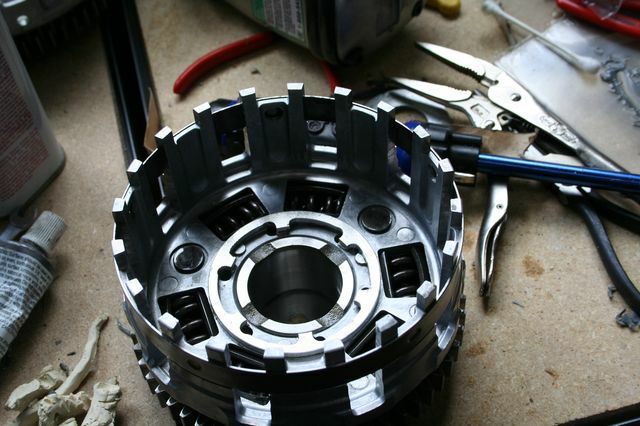 Adapting a GSXR 750 STM slipper clutch to a Suzuki TL motor (TLR, or TLS). After getting back on the TLR after our multi-year van trip I noticed some issues with the clutch slipping after riding at a steady speed for some time and then accelerating. The engine would rev up for a second, and then the clutch would grab suddenly. I attribute this to the strange back-torque limiting clutch design of the suzuki TL engines. Essentially, in steady state, the clutch is not fully clamped. When the engine provides enough torque through the clutch to the rear wheel, the clutch pack tightens. The flaw in this is that the initial increase in torque is going through a partially un-clamped clutch stack, so there can be some slippage. Another concern of mine was that on down-shifts, the engine speed had to be very precisely matched to the bike speed (or the clutch lever let out quite slow) to prevent the back-torque from hopping the rear wheel. I am not very heavy, and the new bike I am building for this engine will be even lighter, requiring an even better speed match to prevent rear-wheel sketchyness. The solution seemed to be to put a modern slipper-clutch into the TL engine. A bit of research showed that there were a few possible approaches, however no one manufactures a direct drop in after-market slipper clutch for the TL1000. 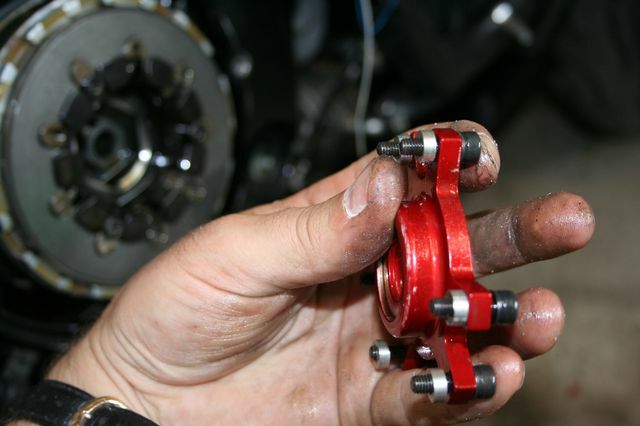 The closest to a direct drop would is to use an aftermarket clutch targeted at a Hayabusa and SV1000. This, however requires changing out the clutch-cover, clutch basket, and probably a bunch of other tweaks, as there are some significant changes to the TL engine between the TL1000 era and the SV1000. 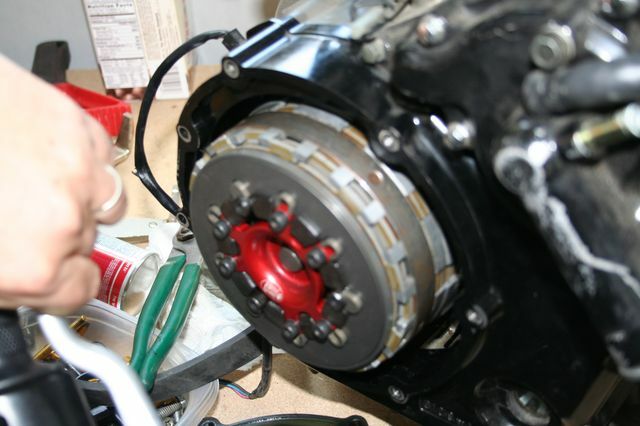 It also would remove easy clutch access as the SV clutch cover also incorporates the water-pump. 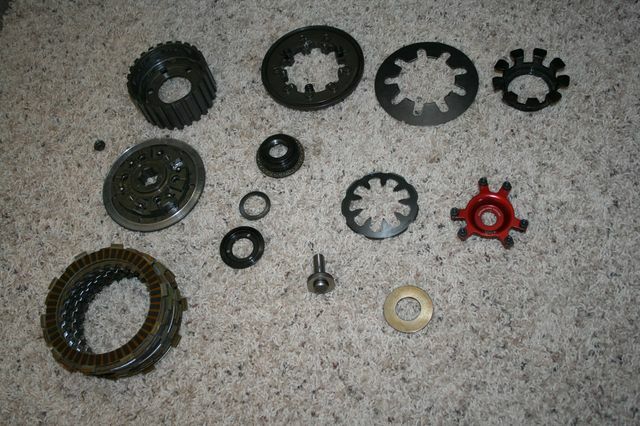 A few folk have adapted 2006/2007 era GSXR1000 clutch baskets to the TL primary gear, and then used the appropriate Suzuki stock slipper clutch (and theoretically could use an aftermarket hub as well). The downside here is a fair bit of machining to adapt the basket, and a spacer is needed for the clutch cover (the stack is taller). A bit of cross-refrencing showed that the 1997 TL1000S used the same clutch plates, and nearly the same stack height, as an early/mid 00's GSXR750. There are many aftermarket options available for the 750, and many used ones around at reasonable prices with a bit of patience. The 750 has comparable HP to the TL, though probably a bit smoother in delivery even with the primary drive gear springs of the TL. The TL1000S basket and gear assembly would drop straight into my engine. I decided that from first glance I preferred the 3rd approach. The downside here was potential for forward slippage in the clutch, especially given my worked over motor. This looked to be fixable by increasing the number of plates in the clutch stack. Some calculations, measurements, and part-catalogue perusals convinced me that I could get 2 more plate pairs into the stack than the 750 used, 1 more pair than the TLS used. This would allow for increased clutch grab without increased spring pressure. If that was not sufficient, many stronger clutch spring sets are available too. My first acquisition was a TLS 5-bolt clutch. This was to be the basis of everything. Along with the clutch plates it had the basket, hub, bearings, and various washers. Some measuring led to more conviction that I could make this work. I also obtained a cheap stock 750 clutch for the plates, springs, and additional measuring. I next picked up a new Yoyodyne GSXR750 clutch on eBay. Upon receiving it I found that "new" meant "used and abused". After a month or two of hassle I got most of my money back and started over with the search. Finally I found a used, but good condition, STM GSXR750 clutch. This one was actually in near new condition, and I began my work in ernest. The STM clutch is a much more complex beast than the Yoyodyne unit, and I think adapting the Yoyodyne would have been significantly simpler. The STM also comes with its own specially designed clutch nut, but luckily the threading on the GSXR and TL counter-shafts is the same. The first issue to resolve was stack height. 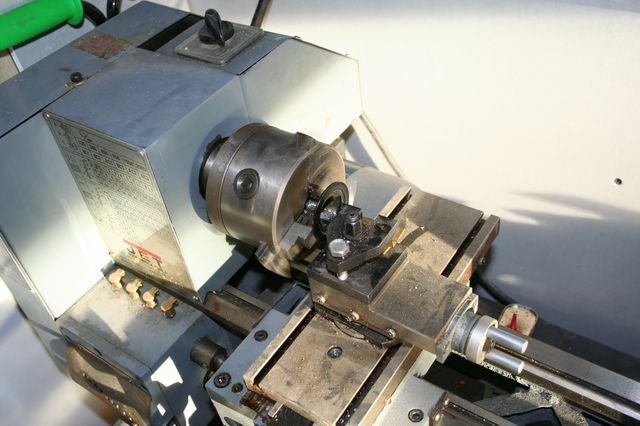 The TLS clutch uses a stack of 9 steels and 10 fibers, the GSXR750 a stack of 8 steels and 9 fibers. The fibers are all the same, but the steels vary in thickness to tune the stack height. The TLS clutch was largely composed of thin steels of 1.6mm and 2mm, while the GSXR clutch (with a somewhat taller overall stack) largely used 2.3mm, and 2.6mm steels. My goal was a stack of 10 steels and 11 fibers. With 10 1.6mm steels and 11 3.0mm fibers I was looking at a stack of roughly 49mm. The STM clutch was designed for a 47.7mm stack height, and the digressive nature of the primary diaphragm spring it uses meant that a stack too tall would actually have less clamping force on it. Additionally the fingers of the last fiber were nearly past the edge of the TLS basket when clamped, and would certainly pop out when the clutch lever was pulled. A measure of the actual stack I intended to use came out to 48.8mm, only about 1mm taller than the slipper was designed for. To address these issues I had noted that the clutch hub had a significant (few mm) clearance behind it between the hub and the basket. Since the hub sits in the basket, with a 3mm steel thrust washer between the two, and in motion both the basket and hub are usually moving together, I reasoned I could recess the back of the clutch hub till there was only about .5mm of clearance, and thus gain about 2mm of usable stack height as far as the basket was concerned. After this first cut on the STM hub, I was committed. The next issue to address was the stack height requirement of the STM clutch hub itself. There were a few possible approaches, and the one I finally settled on was to place a 1mm washer between the clutch hub base and the rest of the mechanism attached to the pressure plate. This effectively gave the pressure plate 1mm more clearance from the bottom of the hub, and permitted the center of the hub to move 1mm more exterior when under back-torque to lift the pressure plate and cause the desired slip. The next tweak necessary was to the nut that holds the whole STM clutch assembly to the counter-shaft. After recessing the clutch hub base, the nut bottomed out at the end of the threads on the counter-shaft before clamping everything down. With the 1mm washer accounted for, I needed to remove about 1.5 threads from the bottom of the nut (or thread the shaft 1.5mm more, but that sounded like a lot more work). With the nut threads trimmed, the recessed hub base, and the spacing washer, the whole assembly went together with all the plates and fit in the TL engine perfectly. A quick check with some clay showed that the top of some bolts on the pressure plate would rub the ribs on the inside of the clutch cover when the clutch lever was pulled, so I carved a few mm of plastic off of the clutch cover ribs with a hot-knife (yes, ugly) and reassembled. I rolled the bike out, fired it up, and took off. The clutch lever felt a bit lighter than before (previously running a 6-spring TLR clutch with Barnett heavy springs), but the friction zone was about the same, and overall I would have been hard pressed to tell the difference if I didn't know. I ran through town, and tried slamming from 3rd to 1st gear at mid RPM and just letting out the clutch lever a few times to force the slipper to function. I got nary a squawk from the rear tire, as I would have expected before, but I began to notice that, when accelerating between stops, the clutch seemed to be slipping going forward. I immediately turned home, and barely made it as the slipping got worse and worse. I had never exceeded 40mph, and never gone past 1/3 throttle, so I was a bit baffled. Immediate disassembly revealed two issues: first, the mushroom that pushes the pressure plate out had bottomed out on the counter-shaft, forcing the clutch to be held slightly open (the STM clutch pressure plate has a very recessed location for the mushroom to push on); and second, the clutch and all the plates inside it were completely dry of oil. My analysis of my ride is that the mushroom had enough clearance (though probably less than a 1/10th of a mm) when I started, and the clutch worked as expected. However since there was no oil to the plates they heated very fast and the fibers quickly wore down the necessary fraction of a mm in my slip tests, to cause problems. Fixing the bottomed out mushroom was relatively easy. 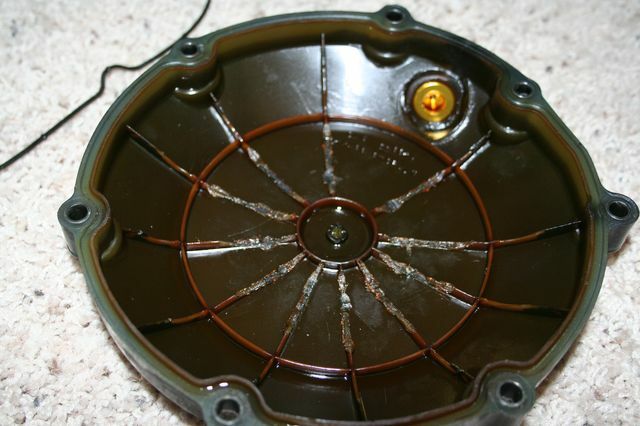 The pressure plate spider that the mushroom pushes on could be spaced out with some washers with no operational effect, or I could machine a completely new spider out of a flat chunk of aluminum. For immediate ease I just made a set of 6 3.5mm thick washers and resolved that issue. Far more involved was oil-delivery to the clutch hub and plates. Comparison of the stock TLS, TLR, and GSXR clutch baskets, and the various hubs showed a very similar oil delivery design, but with just enough differences that the combination of TLS basket and STM GSXR hub would have the worst delivery of all combinations. from the main oil galley it is sent into the counter-shaft. From there it exits the shaft through a hole in the shaft covered by a bushing inside the roller bearing holding the clutch hub. 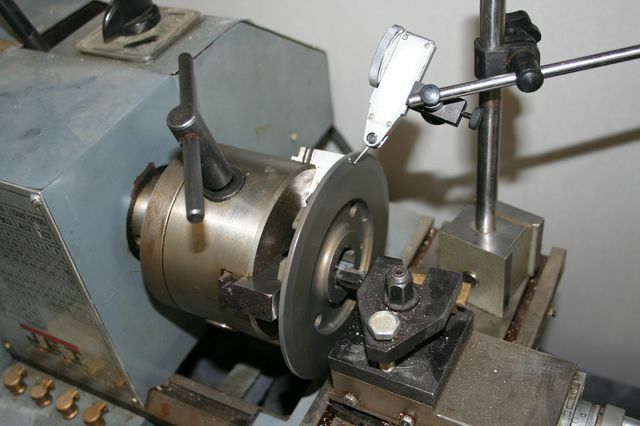 It exits the bushing through another hole into the bearing itself. Once in the bearing, half the oil exits the back (inside) to drip into the sump, and the other half goes into the inside of the clutch basket. Here the oil is flung outward as it clears the bearing and hits the inside of the dished back of the clutch hub (which matches with a ridge on the inside of the clutch basket). At the edges of this dished recess there are a number of holes leading into the inside of the clutch hub. Much of the oil will bypass these holes and fling out into the sump, but that which gets into the hub will flow along inside and out through various holes into the plate stack. 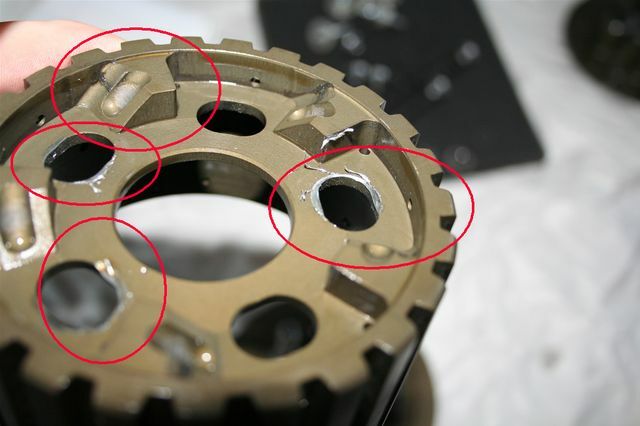 The TLS clutch basket had, by far, the smallest ridge to send flung oil out toward the hub (on the order of 1.5mm, while the GSXR hub was about 3.5mm-4mm high). The oil entrance holes for the STM clutch were the furthest in from the edge of the dished recess on the back of the hub of all the stock hubs, and the fewest in number (though larger). The TLS basket exposes the springs in the primary gear to the inside of the clutch basket, allowing much oil to immediately escape when it is in the region of the oil entrance holes of the hub. The TLS basket has 4 oil escape holes at the back (inside of engine) of the bearing while the GSXR basket only has 2 (same size). The solution here was a bit more involved. First I used JB Weld high-temp metal infused epoxy to limit the TL hub to only 2 oil escape paths at the back of the basket bearing (to send more oil in the direction of the hub). 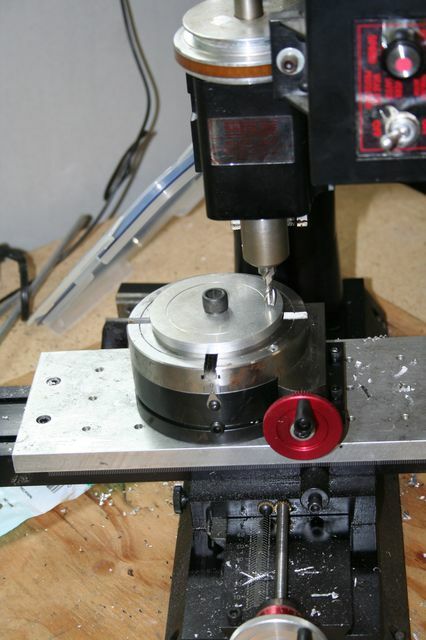 Next I cut a ring out of a 3mm piece of aluminum a few thousandths smaller than the inner recess of the clutch hub, with periodic ramps to match the existing ring, and used epoxy to attach this to the existing, puny ring, in the TLS basket. (to force the oil to get out to the entrance holes in the clutch hub). After all the epoxy had cured I checked clearances, did a little clean up on the lathe, re-assembled, and took the bike out for another spin. This time all worked as hoped for. I found no slipping, even at full throttle 10k RPM. On down-shifts I could go 9000rpm, drop 2 or 3 gears, chop the throttle, let out the clutch suddenly, and all that would happen is a clack from the engine (clutch area) as the slipper mechanism engaged, and the engine slows the bike down without exceeding about 7500 rpm. No hopping, no squeals. If the clutch does begin to slip at full power, I still have the option to increase the primary spring pressure, as the clutch is currently using the lightest one available (130kg, with available ones up to 160kg). This will increase the clamping on the clutch pack. With a clutch-cable clutch conversion from the stock TLR hydrolic system the operation of this clutch feels signficantly lighter than stock with the Barnett springs, so my hand should be able to deal with a heavier spring if necessary.